New York State Senator Robert Jackson joined school board members and community activists from the Alliance for Quality Education (AQE) in Schenectady, New York to kick off a series of school visits as part of a campaign to win promised school funding from the state. Jackson was the lead plaintiff in the Campaign for Fiscal Equity (CFE) lawsuit that resulted in a court order years ago to dramatically increase education funding across the state, particularly in low-wealth districts. The order has never been fully funded by the General Assembly. AQE is organizing the Fact Finding Tours in 10 school districts across New York, including city, rural and suburban districts. The tour will visit 15 schools in New York City as well. At each site, local elected officials and activists will be invited to join the group to document the real-life educational consequences of decades of underfunding. Teachers, students and administrators will discuss the types of services and programs they would prioritize if they received full state funding as ordered through the CFE lawsuit. This week in Schenectady, participants in the first event went to Pleasant Valley Elementary school. One tour participant was surprised to run in to the librarian from her child’s school, working at Pleasant Valley. It was then she learned that the district can only afford 4 librarians for its 11 elementary schools, and that librarians split their time between schools. The Fact Finding Tour will be tracked through an online blog, and at the hashtag #EquityTourNY on social media for those interested in following along. If you live in New York State and are interested in having your school included in the final report on the tour, AQE has developed an online questionnaire that can be shared with local district officials. Photo: State Senator Robert Jackson visits Pleasant Valley Elementary School in Schenectady, NY. The NYC Coalition for Educational Justice (CEJ) is starting off Black History Month with Black Lives Matter in Education week. We are excited to announce the release of our video, Our Cultures Our Schools. The video features an array of personal accounts, all of which exemplify why our students need Culturally Responsive Education. CEJ is collaborating with NYU Metro Center in hosting a Culturally Responsive Curriculum Scorecard event for Black Lives Matter at School Week. The event will help CEJ gather data to evaluate the Cultural Responsiveness of NYC public school ELA curriculum. They will use the data for a report on the depth of this problem and to push for systemic solutions. Parents, students and educators are being invited to participate. 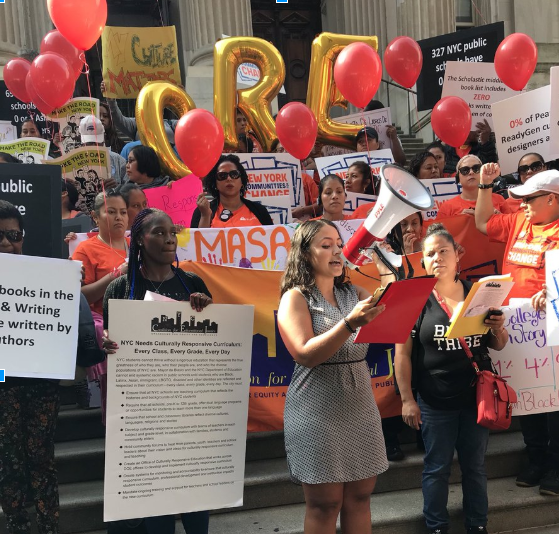 CEJ will reveal their findings on February 20th, and call on the Department of Education to do what is right by all NYC children implement a Culturally Responsive Curriculum. 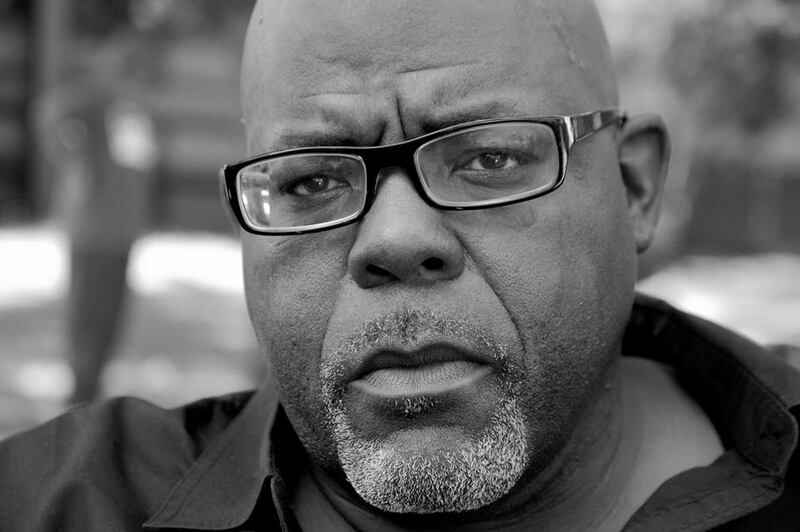 The Journey for Justice Alliance is launching a new podcast called ON THE GROUND, hosted by director Jitu Brown. Here’s what they say about it: As Black people in the United States, every right that we have is a direct result of community organizing. Community organizing is the people directly impacted by a problem, strategizing and building power to win policy change or resources to improve their quality of life. The ON THE GROUND podcast centers effective grassroots community organizers to share their wisdom on the artistic science of organizing. We will also bring music, soundtracks to the struggle into the podcast. Community organizing is not activism. Join the On the Ground family to learn the difference. The podcast launches on Monday, February 11th at 6:00 central time. Episode 1 is titled “A Vision to Victory” and features Zakiyah Ansari, the State Advocacy Director of the Alliance for Quality Education, and Natasha Capers, Coordinator of the Coalition for Education Justice. Watch for the access link on Monday through the J4J Facebook page. Last week in the NewsBlast, we reported that the Los Angeles Unified School District (LAUSD) board passed a resolution calling on the state to conduct a study on the impact of charter schools on traditional public school districts, and to impose a moratorium on new charter schools while the study is underway. This week, California governor Gavin Newsome asked State Superintendent of Public Instruction Tony Thurmond to establish a panel of experts to examine the impact of charter school growth on district finances, according to EdSource. The panel will have four months to complete their study, the results of which are due on July 1st. Members of the panel have yet to be named. California’s 1998 charter school law actually prohibits school districts (which authorize charters in the state) from considering the financial impact of a proposed charter school on surrounding traditional public schools as they review applications. But a series of studies, including one by In The Public Interest in 2018 found that districts across California are losing tens of millions of dollars each year in both direct and indirect costs of charter schools. Charters have grown exponentially at LAUSD, from 10 in the 2000-01 school year to 277 this year, with the district now the largest charter school authorizer in the nation. The current oversaturation of charter schools means that more than 80 percent of charter schools in Los Angeles are under-enrolled (calling into question the charter industry’s assertion that their schools have waiting lists). There are already more than enough charter schools to meet demand. Governor Newsome has so-far been silent on the call for a moratorium pending the results of the study. ON THE GROUND. Inaugural podcast. February 11th at 6:00 central time. Find the link on the Journey for Justice Facebook page. First episode: A Vision to Victory, with Zakiyah Ansari and Natasha Capers.